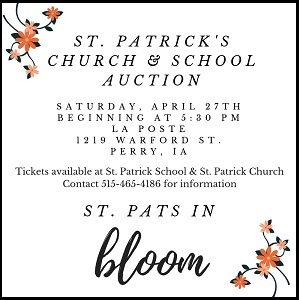 Panorama senior Brooke Halterman, who recently chose to continue her volleyball career at Southwestern Community College, was been named to the Class 2A Central All-District team by the IGCA. 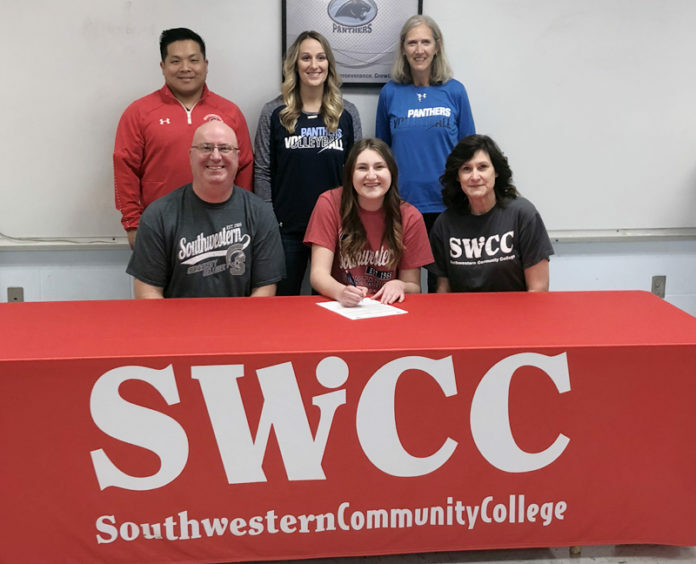 PANORA — Senior Brooke Halterman made it official Friday morning, signing her name to an offer from Southwestern Community College to continue her volleyball career in Creston. The All-WCAC First Team honoree was joined by her parents, Panther coaches and Spartan head coach Casey Quiggle, who will be gaining the services of a player who can contribute from all six spots on the floor. Halterman had 239 kills this season, boasting a strong efficiency of .297, and kills-per-set average of 2.85. Her total kills was third-best in the WCAC and her efficiency was third-best among those players with at least 200 kills. Her 56 blocks was fifth-best in the league, and she provided 121 digs. Halterman finished with a 249-of-278 serving clip behind the line, with 30 ace serves. Halterman’s efforts helped Panorama finish 17-12 overall and 7-3 in WCAC play. The season was the best in school history, and the Panthers won in the postseason for the first time in program history as well. Southwestern finished 3-6 in ICCAC play last season. The Spartans were 14-21 overall.